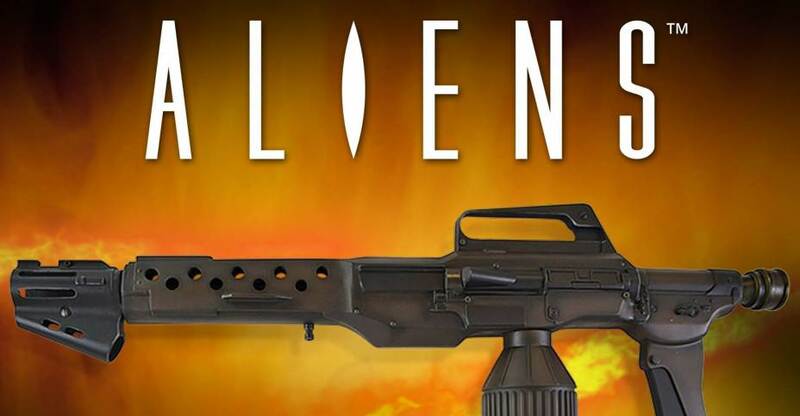 A new Aliens prop replica has been announced by Hollywood Collectibles. 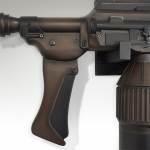 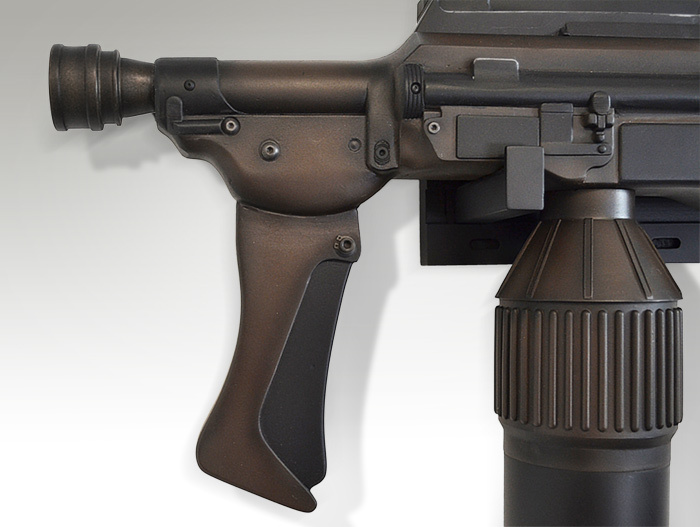 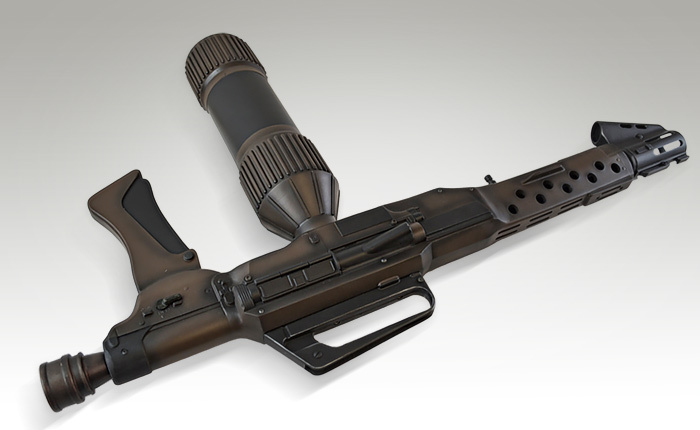 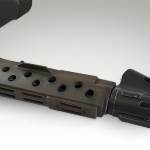 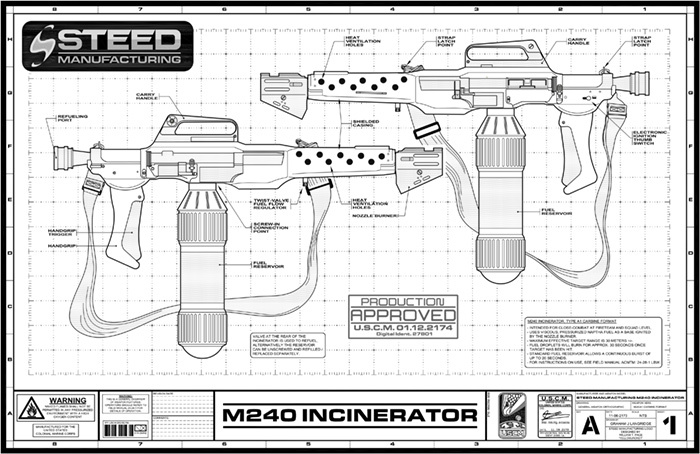 The M240 Incinerator joins the M56 Smartgun and the M314 Motion Tracker. 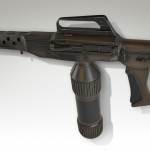 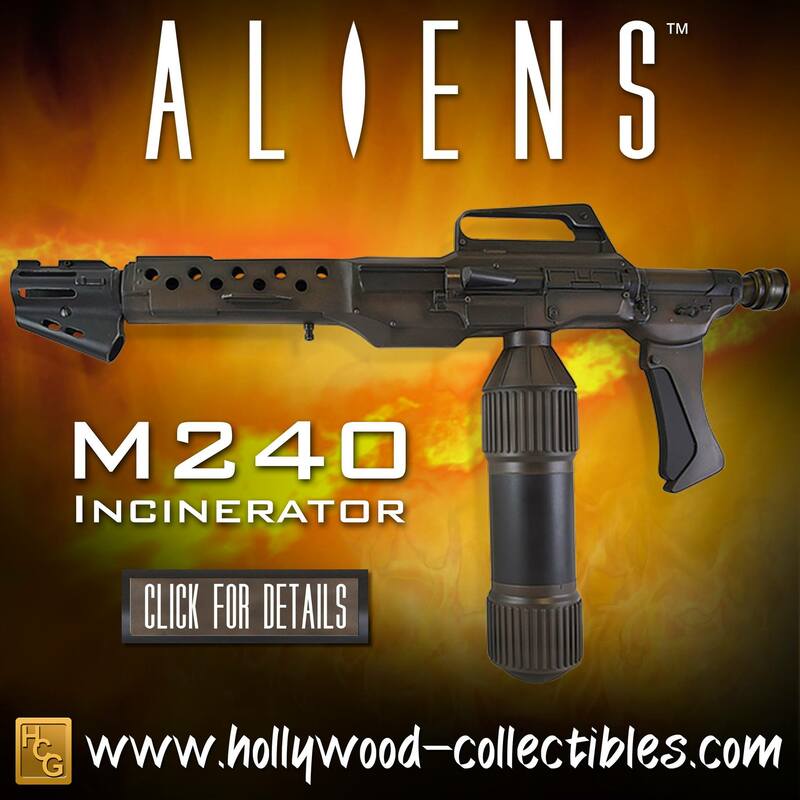 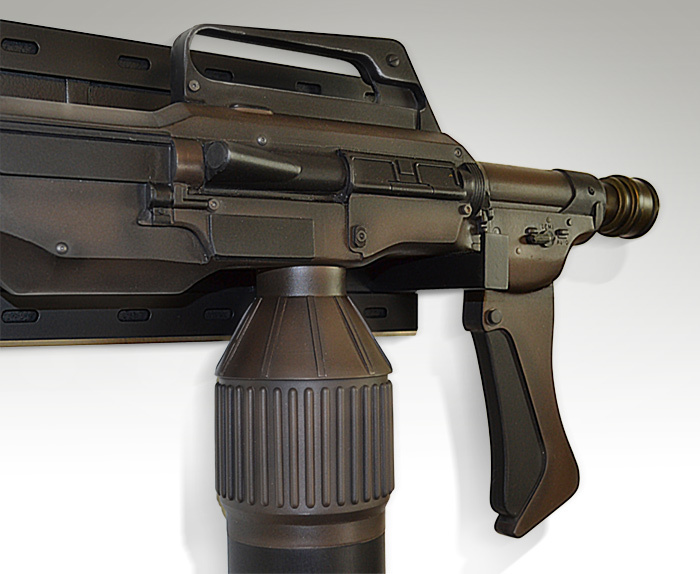 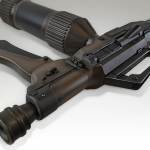 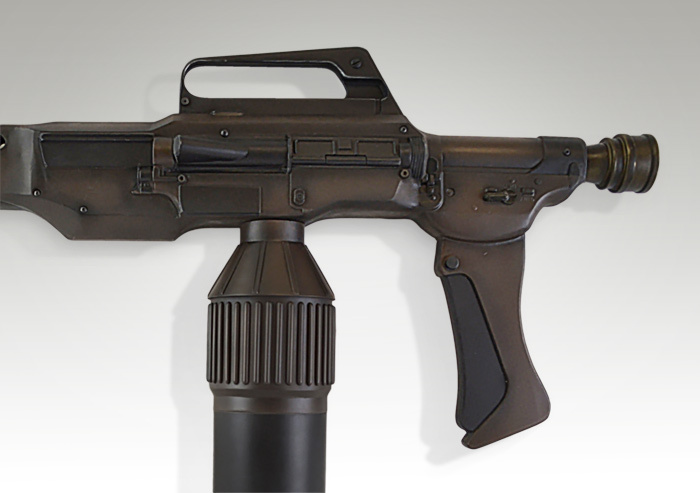 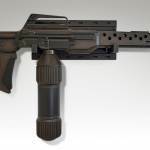 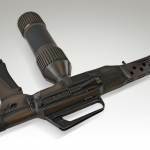 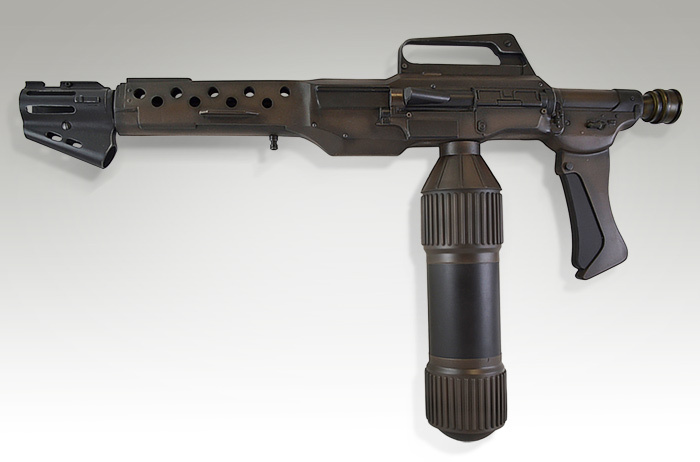 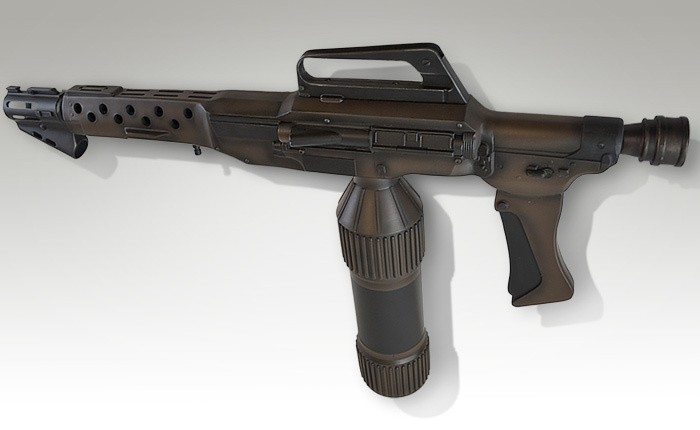 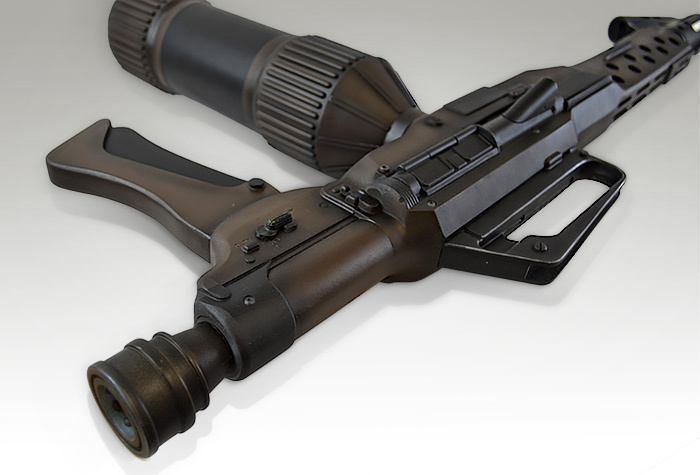 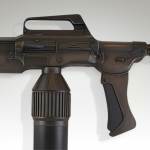 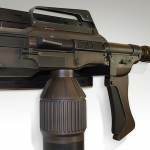 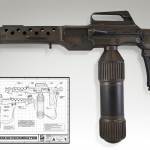 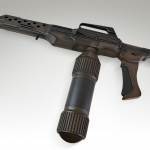 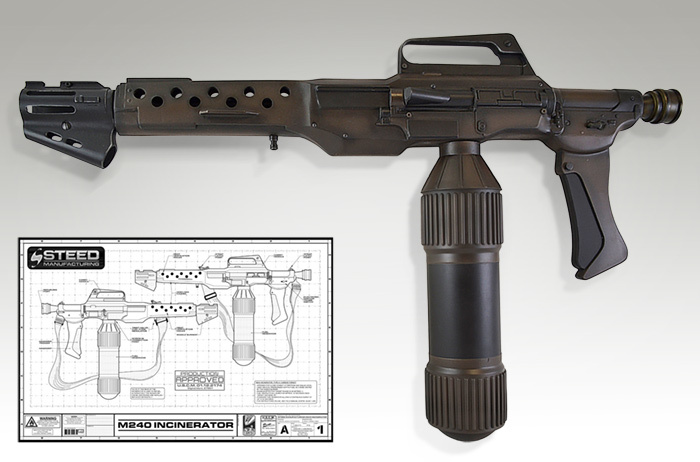 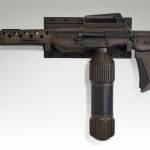 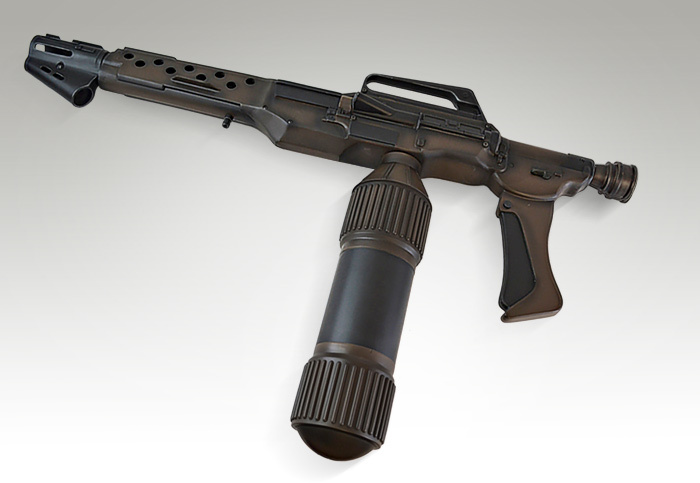 The M240 Incinerator was seen in Aliens, and used by characters like Private First Class Ricco Frost, Master Sergeant Al Apone and Corporal Cynthia Dietrich. 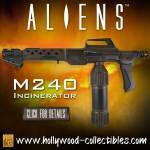 There will be two versions available, a standard release version and a Hollywood Collectibles Exclusive version. 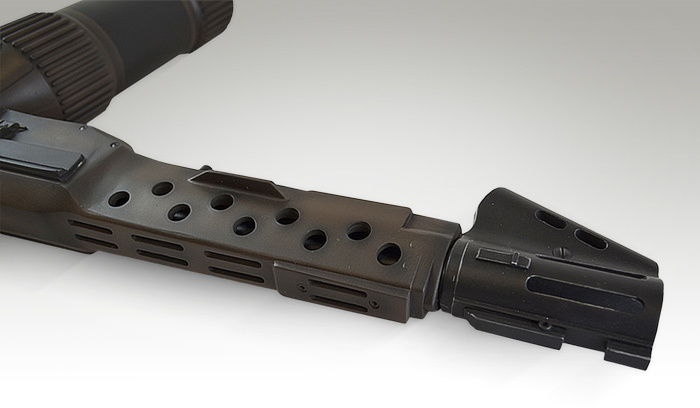 See details below and photos after the jump. 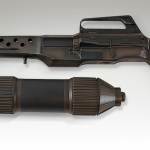 This Museum quality Life Size Replica is constructed from fiberglass, resin and mixed media, then painstakingly hand painted in authentic “Brown Bess” just like the original movie props. 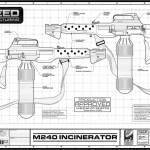 This is the HCG Exclusive Edition of the M240 Incinerator, it comes with a high quality 24″ x 16″ print of the Incinerator’s blueprints and specs sheet! 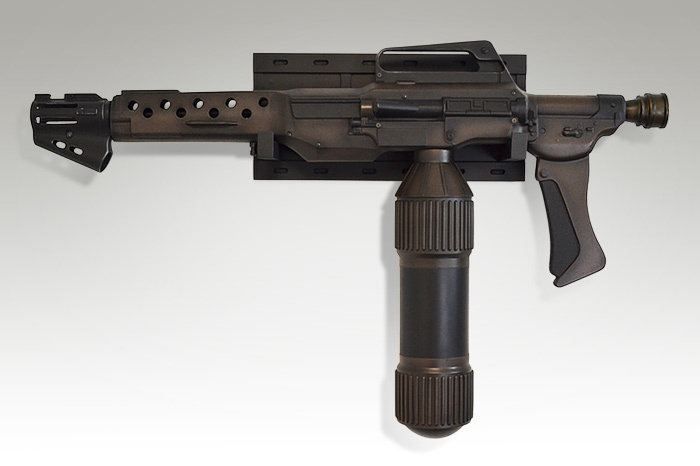 Yeah, no kidding. 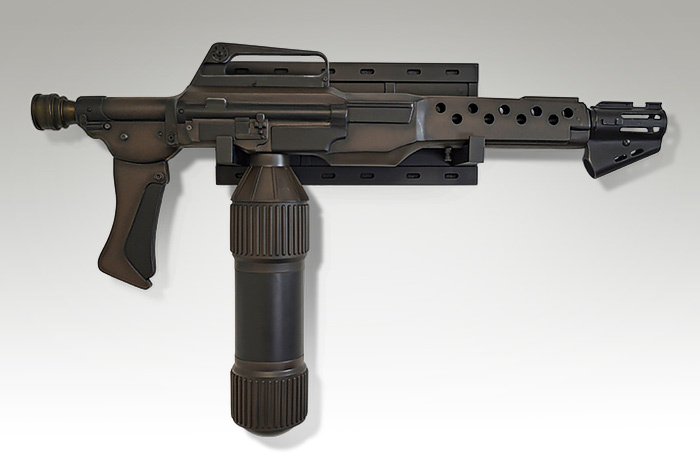 I hope it works for real for that price.